Operating a touchscreen device during the winter months can be a very difficult task. These touchscreen winter gloves make it easy for you to operate your devices while also keeping your hands warm. These are a must have item for gadget lovers who like to be cosy! Can be used to operate any touchscreen devices such as smartphones, tablets and cameras. 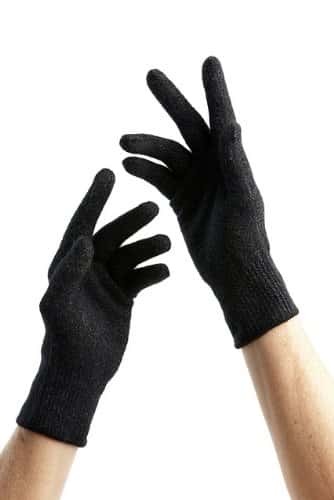 Normal gloves keep your hands warm but most of them are not compatible with touch sensitive electronics. This is especially a nuisance if you need to operate your device outside in the cold. 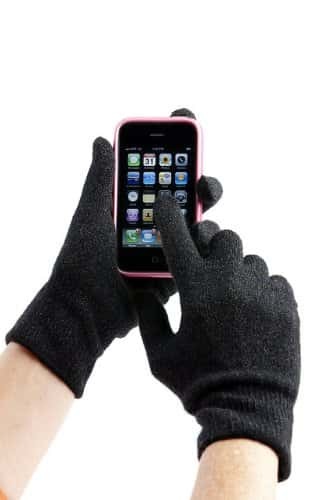 If your gloves don't allow you to operate your device you will need to take them off. You will love the precision and accuracy you can achieve while wearing these gloves. This is an award winning design, the patent is pending. The design provides ten finger functionality and ease of movement. A comfortable fit and a must have for any gadget lover. If you are someone who like to carry your device everywhere you might also like the Portable Wristband Charger.